You may also use the site-wide search-box at the top of every page, that searches Forum contents that are constantly updated. What size subwoofer do I need? You cannot have too much subwoofer. A bigger subwoofer (from the same manufacturer) will always play lower, has lower distortion, more headroom, and better long term reliability if played at the same listening level. Hence, if budget is not an issue, going for the larger sub will always be beneficial, if there is no WAF or physical limitations. We have suggested room sizes that each subwoofer is recommended for. This of course is a very rough guide. Very much depends on individual tastes. We have customers who find four VTF-15H in a 1,000 cu.ft. room is not enough. We also have customers who are happy with a STF-1 in a 5,000 cu.ft. room. Hence we suggest going with the biggest subwoofer that your budget, spouse and space allows. We frequently get questions 'is this subwoofer too powerful or too loud for my room?' The answer is no. The subwoofer need only play as loudly as you set it. You can even turn it down till it has not contribution. You can set it anywhere between that and 'too loud'. The larger subwoofer would sound more effortless and 'airy' due to lower distortion and higher headroom. All else equal, the bigger sub will also be more reliable as it has to work less hard for the same listening level. 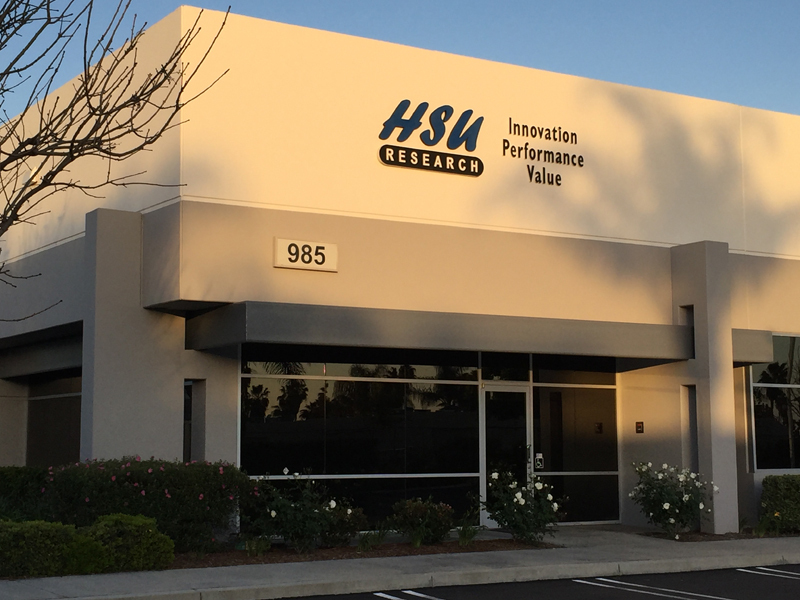 What distinguishes HSU from the rest is that we are an engineering driven company. This is reflected in the quality of our products. It is common for other companies to focus on cosmetics and marketing gimmicks. They follow the marketing adage to "sell the sizzle, not the steak". HSU is different. We focus on pure audio engineering and on building a better mousetrap. We obsessively concentrate on product performance and reliability. 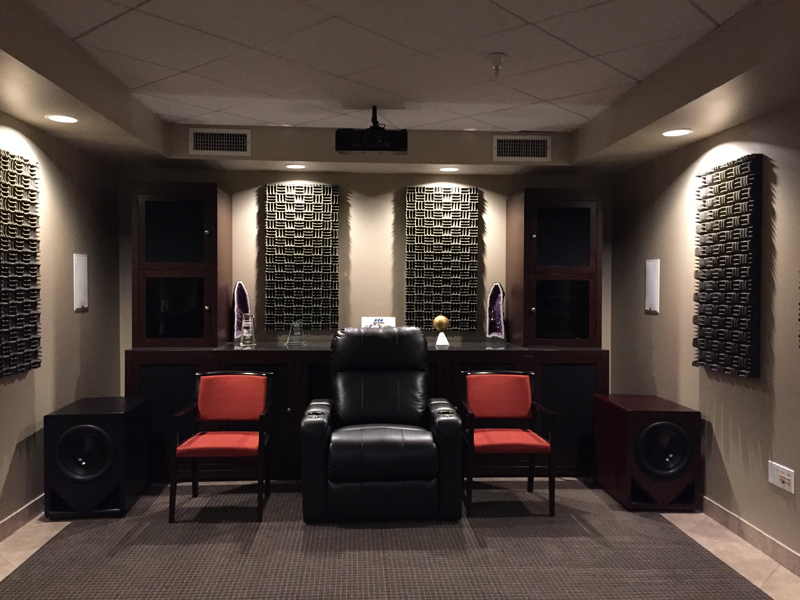 Each HSU product is carefully engineered by Dr. Hsu to provide "high-end" sound in its specified room type. High-end means the best of the best. We hope you will agree. Attention to customers is another differentiator. 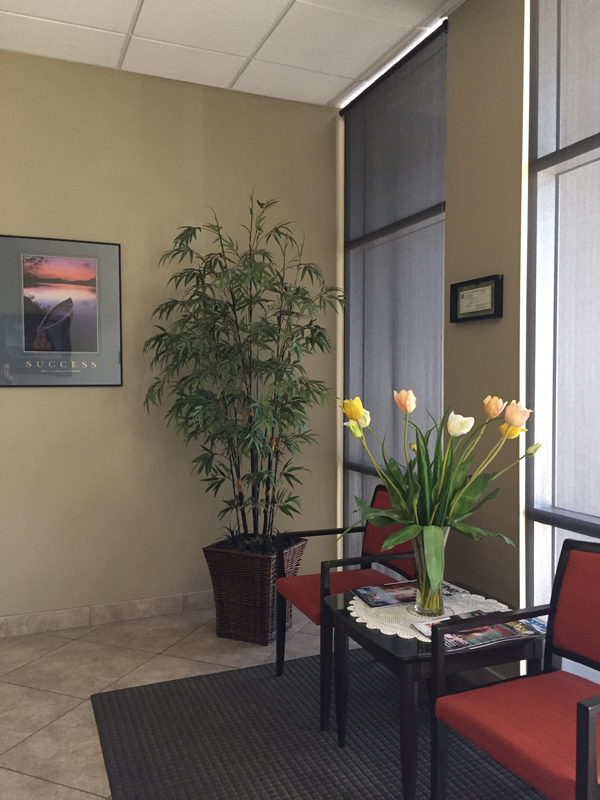 Dr. Hsu, founder of HSU, consults privately with customers on a daily basis. This demonstrates his commitment to product quality and home integration. There are few companies who can make that claim. Of course, cosmetics are also important. Afterall, the subwoofer also have to meet the spouse's approval. Hsu Research recognizes this and does not skimp on this either. What is the best place to put a subwoofer? A good place to start is a front corner furthest from openings. This is generally great for deep bass. If you like a lot of 'hit in the chest' mid bass punch, placing the subwoofer close to you is best (preferably directly behind). If you have a means of measuring, and is willing to experiment, the subwoofer crawl is the best to find the optimal location for the subwoofer. 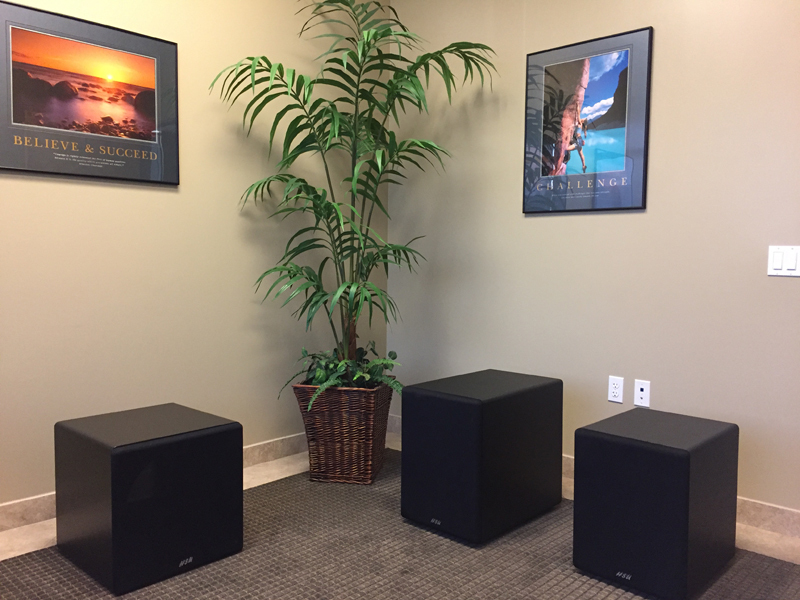 You place the subwoofer in your listening chair and measure the frequency response at the various locations where you can place the subwoofer. The position that gives the best response is where you put the subwoofer. Note that where you sit is equally important. If possible avoid sitting in the middle of the room as this is where bass is usually weakest. A subwoofer is a specialized speaker responsible for the most difficult duty in home theater. It produces the very deep, room shaking notes that add a magical effect and balance the sound. This requires providing lots of power to fill a room with sound, and large mechanical motions of the subwoofer. When you hear about Dolby 5.1, the ".1" refers to the subwoofer's special role in a surround sound system consisting of five speakers and (at least) one subwoofer. What are the differences between the STF and the VTF subwoofers? Variable tuning allows you to choose how deep your subwoofer plays, on-demand. Choose between a music mode (lower bass extension) or a home theater mode (higher headroom and more impact) in just a few seconds. Subwoofer designs involve tradeoffs – one cannot optimally design a subwoofer to play low deep notes, and at the same time play loud. Usually the designer chooses a tradeoff for you. With the VTF series, we build in flexibility so that the listener has uncompromising control. STF – Single Tuning Frequency. The bass characteristics are fixed. VTF – Variable Tuning Frequency. The bass characteristics can be varied between lower extension (one port open), higher headroom (2 ports open), or sealed mode. We also give you a Q control to adjust the bass tightness. This series gives you more flexibility than any other subwoofer we know. This is equivalent of buying multiple subwoofers for the price of one. Irrespective of your preference or room, you can get the VTF subwoofer to sound right. Should I use the Auto EQ in my receiver? Generally the auto EQ in receivers are getting better and better, and it's usually beneficial to use them. One general guideline for using the auto EQ for the subwoofer - set the subwoofer for the lowest extension and flattest response so the EQ compensates for the room acoustics alone. e.g. with our VTF series subwoofer, set the subwoofer to one port open, EQ1, and Q=0.7. This is the flattest response mode. The EQ will then correct for the room effects. After EQ, you can select other operating modes for the subwoofer - two ports open, EQ2, Q=0.3, etc. How close can I put the subwoofer to my television? Unless you are still using a CRT television, you don't have to worry about placing the subwoofer close to your TV. None of the newer technology TVs are sensitive to magnetic fields. Can I connect your subwoofers to my computer or computer speakers? It is relatively easy to connect a HSU subwoofer to certain computer sound cards. These sound cards have a dedicated subwoofer output. Without a subwoofer output on the card, it is still possible to hook up a VTF or ULS subwoofer, since these subwoofers have stereo inputs. Use a splitter/adapter (one 1/8-inch stereo male to two 1/8-inch stereo female). Take the stereo 1/8-inch output from the computer sound card. Then feed one set to the computer speakers and another to the subwoofer using an adapter (1/8-inch stereo male to two RCA male). Please be aware that connecting a HSU Research subwoofer to computer speakers (as opposed to computer sound cards) may be impossible. How do you hook up the subwoofer to a pre-amp? To hook up a HSU Research subwoofer (any VTF or ULS) to a pre-amp, a stereo pair of RCA cables are to be connected from the pre-amp line-level outputs to the subwoofer line-level inputs. This stereo pair output can be sourced from secondary line-level output jacks or by splitting the line-level output jacks by an (1 RCA male to 2 RCA female) adapter. What recommendations do you have for receivers? Most receivers these days should work well. Onkyo and Pioneer receivers are inexpensive and work very well. How do you change voltage settings? With the current VTF and ULS series subwoofers, there is a voltage selector switch on the back of the amplifier. Remember to change the fuse when you change the voltage. Use half the current rating when switching to 230V. For STF series and older VTF subwoofers, you need to change jumper positions or perform some soldering in the amplifier. Go to forum.hsuresearch.com/showthread.php?t=773 to see the instructions. Do I need to use a subwoofer interconnect? No. A regular mono RCA cable is all you need. We generally recommend using 80 Hz crossover even if you have large main speakers. Due to the limited amplifier power of most receivers, using the main speakers to handle some of the bass will reduce the amplifier power available for the mids and highs. Crossing over at 80 Hz gives you the highest possible headroom for your system. 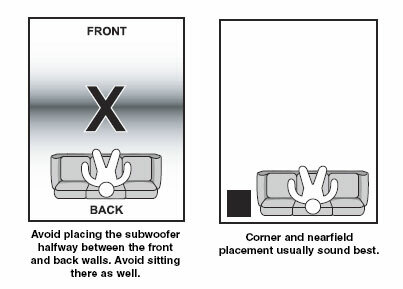 We do not recommend crossing over higher because the subwoofer will be localizable with a higher crossover. What should I use to clean the cabinet? You should use a damp soft cloth (micro fiber is great), followed by a dry one. Never use any chemicals. If I have two or more subwoofers, how should I set them up? Mark a spot on your floor. For each subwoofer you want to level match, you need to position it precisely in the same spot. Make sure all controls are set similarly - crossover out, EQ1 (if it has a EQ control), Q=0.7 (if it has Q control), etc. Place a SPL meter 1 m in front of the subwoofer. Set it to the 80 dB range. C weighting. With just one subwoofer, and receiver's sub out at 0 dB, adjust the level on the subwoofer to get a nice balance. Set all subwoofers to about this level. Put the first subwoofer in the spot. Set volume to where it sounded good in your system. Play a 50 Hz tone and adjust the volume on your receiver to get a 80 dB reading. If you have two subwoofers to match, lower the volume on the subwoofer to get 75 dB. If you have four subwoofers you want to match, adjust the volume on the sub to get 70 dB. Move the sub out and place the second sub in the same location. Play the same test tone and adjust the sub's volume control to get the same dB reading. Repeat this for the rest of the subwoofers. Now they are all level matched. Do not touch their volume control again after this or they will not be level matched. What is the best way to setup the HB-1 MK2s? The HB-1 MK2s are best toed in so the tweeter axis cross a ft or two in front of you. You get the deepest soundstage and the widest sweet spot. If you use the recommended stands (26- 28" high stands), the speakers are best 19" off the side walls (measured to the center of the woofer dust cap). If this is not practical, don't worry - they will still sound great. What type of speaker wall mount would you recommend to use with the HB-1 MK2 and HC-1 MK2? Our customers have used B-Tech BT15 or PPT_AM15B (from btech-usa.com, JR.com) Center Channel Speaker Bracket Mount and B-Tech BT77 UltraGrip Pro Speaker Wall Mounts. You can download the test tones on the CDR we provide (if you lost your CD, or if you are outside of the US) here. 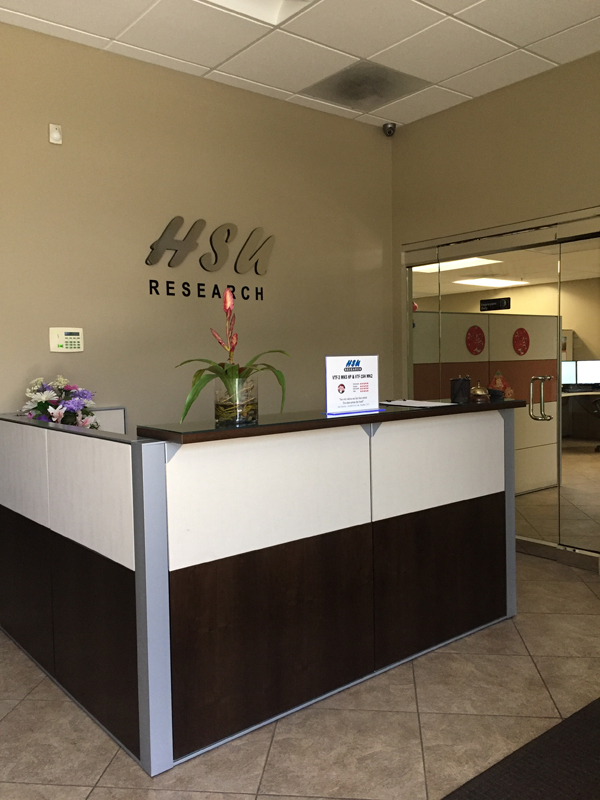 What is the story behind HSU Research? HSU Research began as a specialized deep bass research company in 1991. Dr. Hsu started the business shortly after receiving a PhD in engineering from MIT. He moved to Orange County, California with the dream of making the world’s best subwoofers. Dr. Hsu started with a subwoofer made of recycled cardboard tube called a sono-tube. It was seven feet tall. The experiment was powerful, and played pristine bass notes deeper than humans can hear, down to 16 Hz. Dr. Hsu called the design a "true subwoofer." Although air shook all around the room, no harm was done. The volume could be turned down, and the deep notes were strangely captivating. Bass notes were known to exist throughout the ages in church organs and large drums, and they possessed a strong emotional impact on whoever heard them, regardless of personal background, culture, and age. Dr. Hsu's neighbors began visiting to hear the sound. It was a good review in Stereophile magazine that sparked the first wave of customers. 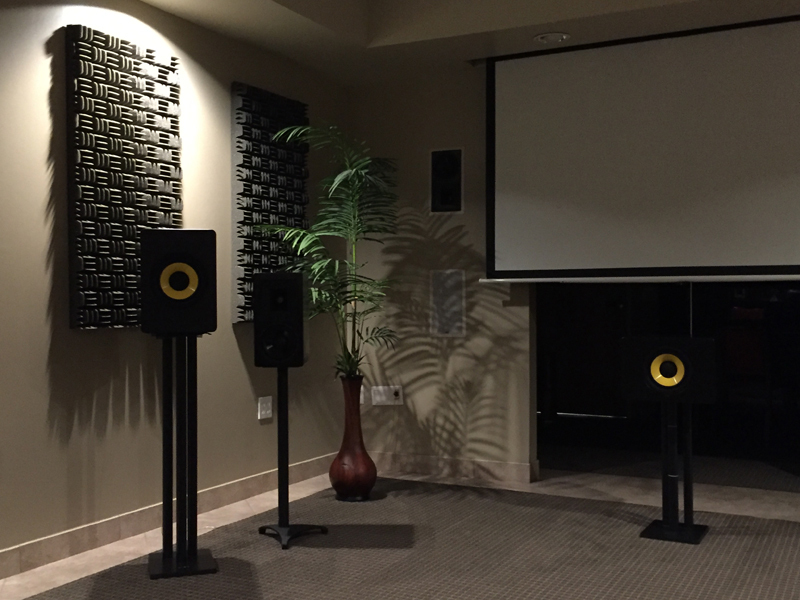 High-end audio enthusiasts read the reviews and were thrilled to save on full spectrum sound. Soon after, the early products sparked a tube subwoofer hobby amongst budget-conscious enthusiasts on the Internet. Unknown to many, the secret to Dr. Hsu's exotic subwoofers had little to do with their external form, and more to do with what was inside: carefully engineered and matched components. Most engineers did not understand how to properly integrate all the parts in a subwoofer, such as the cabinet, driver, and amplifier. The idea came along in the late 90s of taking Dr. Hsu’s unique synthesis of components, and putting them into a smaller box—with an additional twist. The VTF series was born. Dr. Hsu's variable tuning technology (VTF) allowed for a subwoofer to play either low or loud by building into the cabinet two large, closable openings called ports. The "maximum output" mode became popular among home theater enthusiasts, who could fill large rooms with very loud bass by opening both ports. The "‘maximum extension" mode was preferred by music aficionados who appreciated pure deep bass by opening one port. Once again, imitation was inevitable. Today, the VTF series incorporates even more flexibility, allowing for sealed operating modes and a Q control for adjusting the bass tightness to one's taste. How do you pronounce 'Hsu'? Most people pronounce it “sue”. A more correct, more Singaporean pronunciation is “shoe”. We experimented with dealers (e.g. CompUSA), but realized that it reduces product value. Middlemen add to costs. Therefore, we now have no dealers and offer products at lower prices. Do you do demonstrations or auditions? Yes we do, if you live around Orange County, California. You must call ahead for an appointment during our normal business hours, Monday to Friday, 9:00 AM to 5:00 PM PST. All orders use Yahoo 128-bit encryption and e-commerce. Yes. Just add the product to the cart, and an option will display allowing you to upgrade the electronics warranty to five years. All products are shipped with low cost, insured, FedEx Ground with signature required to destinations in the lower 48 states. If you live in Hawaii, Alaska, Puerto Rico, or Canada there is an additional shipping and handling charge. Email sales@hsuresearch.com for shipping quotes. The day after your order is shipped, your FedEx tracking number will be emailed. If you don't receive it, a spam detector might have removed it. If this happens, just give us a call and we'll give you the tracking number. Hsu Research reserves the right to modify the 30 day tryout policy without notice. Call us, email us, fax us, or use our Feedback Form. Click here for our contact information. Do you have any b-stock or scratch-n-dent items? We occasionally do. Please see our Clearance Center for availability. Why is there is a humming or buzzing noise coming from my subwoofer? 1) You have a ground loop problem. Try using a cheater plug that removes the third prong, also called the 'ground'. Do NOT ground the grounding tab on the cheater plug! That would defeat the purpose of the cheater plug for this application. 2) You have an amplifier problem. If the ground cheater plug does not help, disconnect all interconnects from the subwoofer amplifier. If still hums, call or email technical support. 3) You have a problem with other equipment. If hum goes away when interconnects are disconnected, hum is coming from the rest of your equipment. Add them back one piece at a time. The one that causes the system to hum is the source of the hum. Click here for the ways to contact tech support.